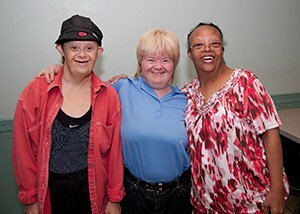 The Life Skills Development program offers relevant personal, social, therapeutic, and work skill training to adults with disabilities through community and center-based resources. The activities are designed to advance individual independence and expand participants’ life choices at work, home, school, and in the community. Our adults enjoy participating in community outings, agency projects, community contract work, board games, cooperative activities, volunteer opportunities, shopping, creating art, cooking, tai chi, social clubs, and book clubs. Easter Seals Southwest Florida is committed to ensuring that no person is excluded from participation in, or denied the benefits of its transit services on the basis of race, color, or national origin, as protected by Title VI in Federal Transit Administration (FTA) Circular 4702.1.A. This plan was developed to guide the ESSWFL in its administration and management of Title VI-related activities.